is President and COO of Kuma Hospital, Center for Excellence in Thyroid Care, Kobe, Japan. He is an endocrine surgeon, especially interested in thyroid and parathyroid diseases. 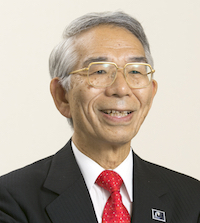 He earned his MD and PhD at Osaka University Medical School in 1970 and 1978, respectively. He was Associate Professor of Department of Surgery, Kagawa Medical University until he was appointed to Vice President of Kuma Hospital in 1998. Since 2001, he is at his present position. About 2,000 operations, including about 1,300 thyroid cancer cases, are done every year at Kuma Hospital. He is currently serving as Chairman of the Asian Association of Endocrine Surgeons. He also served as Council of the International Association of Endocrine Surgeons until August 2015.